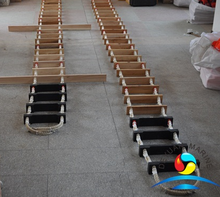 Because the decks of most commercial ships are far above the waterline,a pilot ladder is typically designed for embarking or disembarking of pilots,it complys with SOLAS specifications and International Maritime Pilots’ Association. 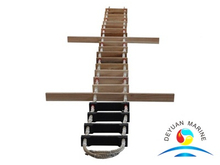 Pilot ladder is made of wooden steps,the lowest four steps are rubber steps,side rope is manila rope.Custom made ladders are available. 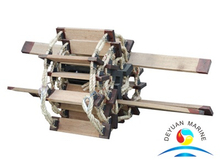 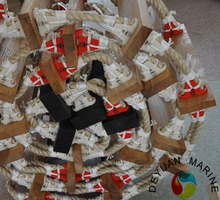 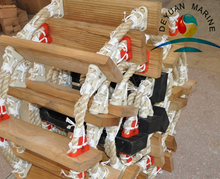 we can offer EC or CCS certificate for our pilot rope ladders,if you are interested in our pilot ladders,pls donot hesitate to contact us at any time.Our sales team will give a response immediately.